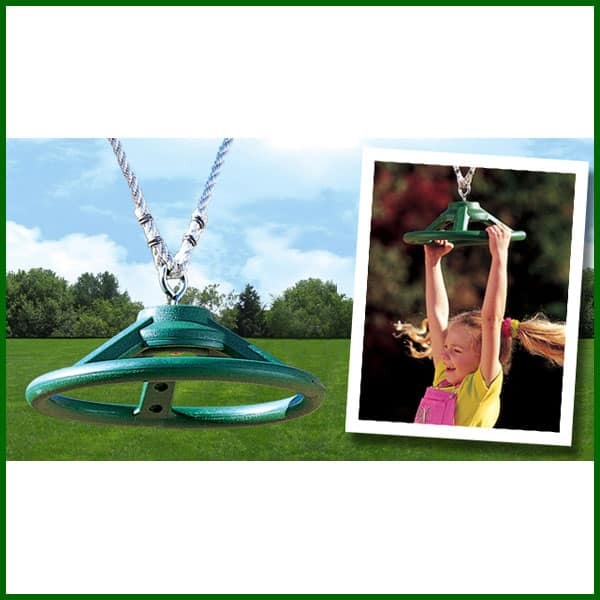 Switch up your swing set with accessories by Creative Playthings. 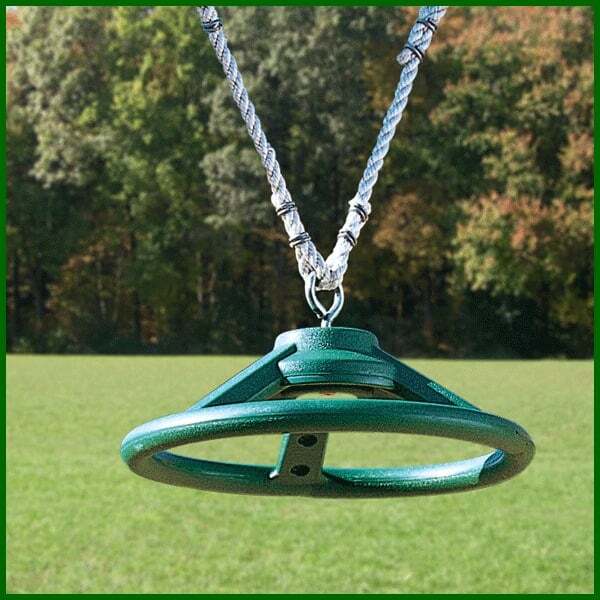 This unique swing set accessory allows kids to spin and swing at the same time. Children develop arm and upper body strength, plus acute coordination while using this add-on accessory. The product includes ropes and attachments. We offer free shipping on all orders over $40 in the contiguous United States. Orders under $40 will incur a flat $5.99 Shipping Fee. Most swing set and play gym accessories ship via UPS / Fed Ex. Most delivery times within the Continental U.S range from 2-5 days depending on location. All in stock orders received before noon will ship that SAME DAY.